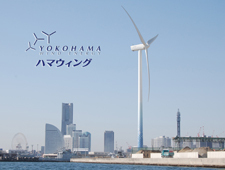 Yokohama City established the “Yokohama Method”, which forced J-Power to conduct on-spot inspection and disclosure of information when constructing Isogo Thermal Power Plant. This pollution policy is famous for having been more progressive than the national one. The City set a goal to reduce the total amount of garbage from the city by 30% by 2010 below the 2001 level, which was achieved five years ahead of schedule in 2005. This case is known as the achievement brought by active civic movements of those days. CODO30 has seven action targets by category: community, business, building, transportation, energy, city green development, and council. Yokohama City aims to create its own distinctive series of action against global warming under public-private initiative as code, to settle the code in the city as global warming countermeasure, and ultimately to shift the code into the culture of Yokohama as mode. The City established the Climate Change Policy Headquarter to forcefully advance its climate control through public-private partnership. Accordingly, the city authority will carry out greenhouse gas emissions-reduction policy across all departments and also conduct its progress management appropriately. This organization reform intends to overcome the negative effect of the vertical administration structure as a conventional Japanese governmental problem. Yokohama City aims to realize the zero-carbon urban lifestyle by promoting knowledge sharing, green purchasing and innovative action under the civil initiative.